To enroll in the Electronic Fund Transfer (EFT) program or to alter/cancel your enrollment, please fill out the electronic form below. 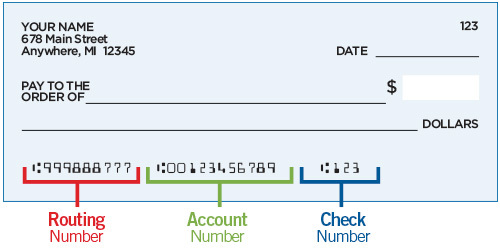 Click here to see an example of where to find the routing number and account number on a standard personal check. If you would prefer to download and submit a physical copy of this form instead, please click here. I/We will make the following contribution in support of Mount Saint Peter Parish. I/We understand that any changes or adjustments may be done by contacting the Parish Office. See the link at the top of the page for an example of where to find the routing number on a standard personal check. See the link at the top of the page for an example of where to find the account number on a standard personal check. To learn more about the EFT program click here.